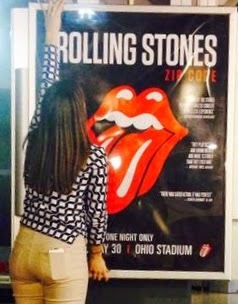 Please use this thread to discuss details about ticket sales, travel and more regarding the Rolling Stones Tour 2015 in Columbus. Edited 1 time(s). Last edit at 2015-03-30 21:50 by bv. 2 rooms just opened up at the Blackwell Inn. One is a King, the other 2 doubles. Spitting distance from the shoe. $220/night. Nice, upscale rooms! Just freed up this morning. They were booked solid, 2 cancellations today. josepi, missed it, thanks, anyway. let me know if if you ever see more there? Booked mine two weeks ago. $75 a night, 1.5 miles up the road. unlimited wheelchair access behind the stage! I am late to the game again, but how the presale for Amex works. Pardon, my ignorance. If anyone knows, you can reach me at rivera.3@osu.edu. I am retired from OSU but all my contacts are seemlinly "expired"
I did see that the ticket range is $40 to $400 on Ticketmaster but could not find how Amex plays into this, or, if it is even better to wait for regular sales at the Shoe. Cheers, many thanks, and again, pardon my lack of knowledege. Many years since they played Columbus if ever. They played Ohio stadium sept.97 schott center in 99 nationwide arena in 02 and 05. If anyone is in town the night before you can catch "The Rolling Stones Project Featuring Bernard Fowler, Tim Ries and Darryl Jones." Park Street is Downtown and not to far from The Shoe. The Stones will be playing at Ohio Stadium on May 30. Are there any good bars near the stadium where the Stones fans tend to congregate. I mean a bar/restaurant that is clean, not too expensive, and where one would feel safe and where a lot of Stones music is playing. I like to get a little intoxicated before the concert and plan to walk to and from our motel, about a mile and a half from Ohio Stadium. Any ideas? If not, maybe someone can suggest a good place to get in the mood before the concert. id say the varsity club..If it was downtown Columbus there would be the arena district around nationwide arena I live 30 min from the shoe,see ya there. Anyone know what price ranges for Columbus and for what seating sections they are for? Eric Clapton owns a house in the area, its where his wife comes from. Has done fairly regular visits over the years, low key of course. He will have finished his current tour by the time the Stones hit the area. Wonder if old Slowhand might turn up? Hi Everybody, just received an email from Nationwide Arena with a pre-sale password for Friday, April 10th @ 10:00 am. It says to use the offer code "TATTOO". I already have my ticket.. The countdown has started .. I'm in. Sect D, row 4! We are in Sec L Row 27 $166.45! Score!! ....I wish...I was just checking out of curiosity, SD went so quickly. I've still never made it to Toronto, although I expect to be there on July 13....for a 3 hour layover at your fine airport. Section C 25th row just now. I'm excited for this concert!!! Anyone know how many rows in Sec C? Edited 1 time(s). Last edit at 2015-04-10 21:57 by MingSubu. For anyone who has been to concerts at Ohio Stadium before, do they sell beer at concerts? Being on a college campus, didn't know if they will. I assume they will allow tailgating in the parking lots like at a football game, does that make sense? For concerts I have attended at The Schottenstein Arena, I parked in some north lots and took a shuttle bus to the arena. Do you think they will do that for this concert at the Stadium? We are staying at a Hampton Inn, 3160 Olentangy Road, is there any nice restaurants in that area? From looking at Google maps, I can only find chains. Scored Row 20 thanks! Any thoughts on number of seats across this section?? How wide?